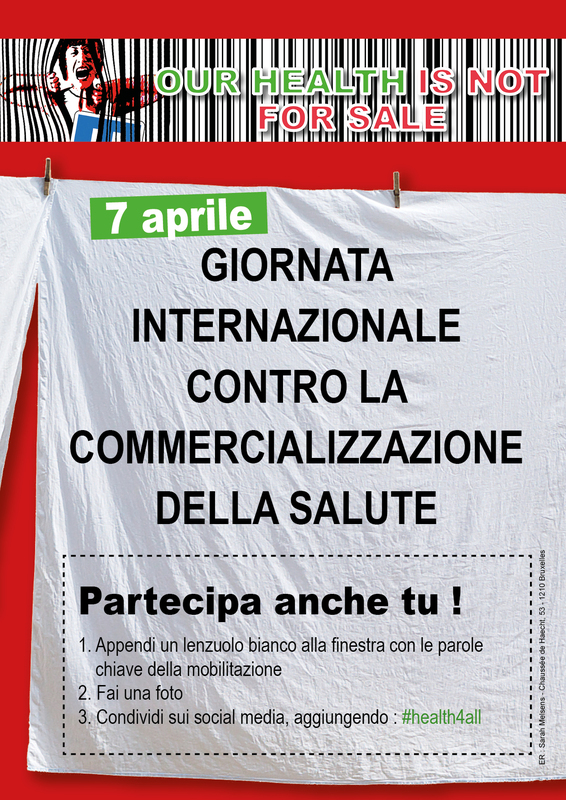 On the way to April the 7th! 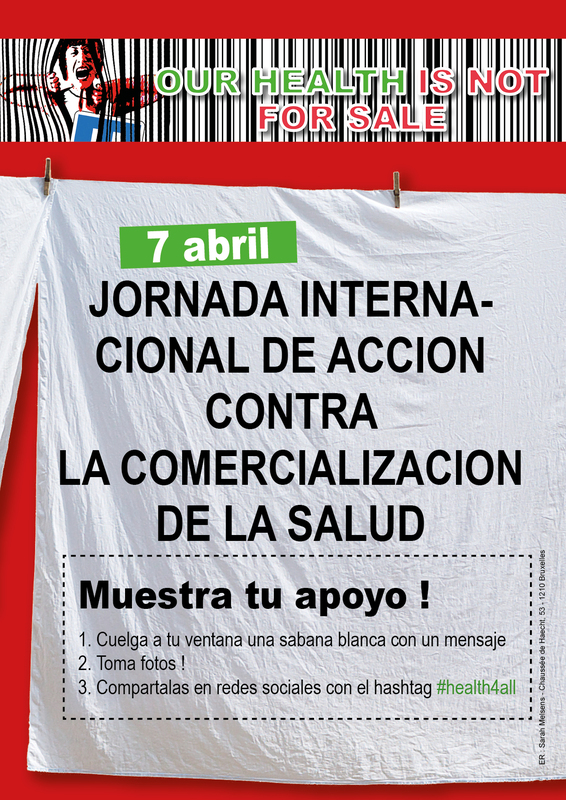 One year to say no to the commodification of health! 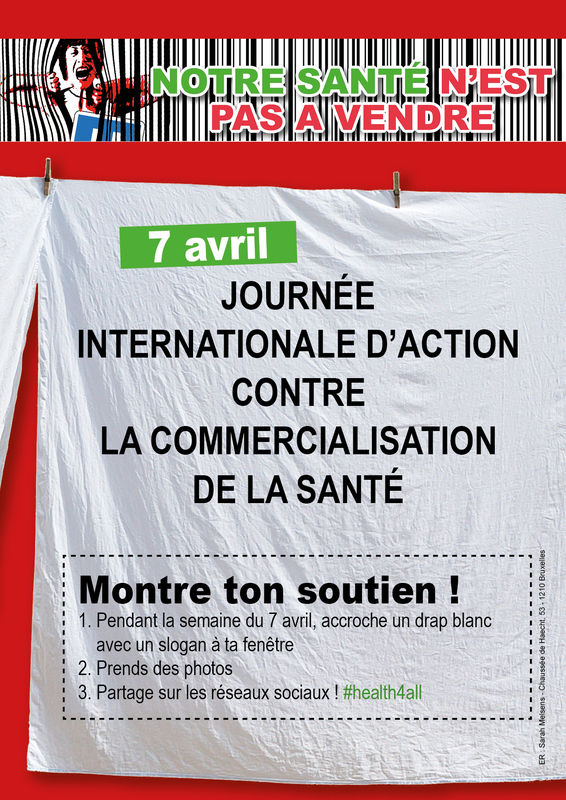 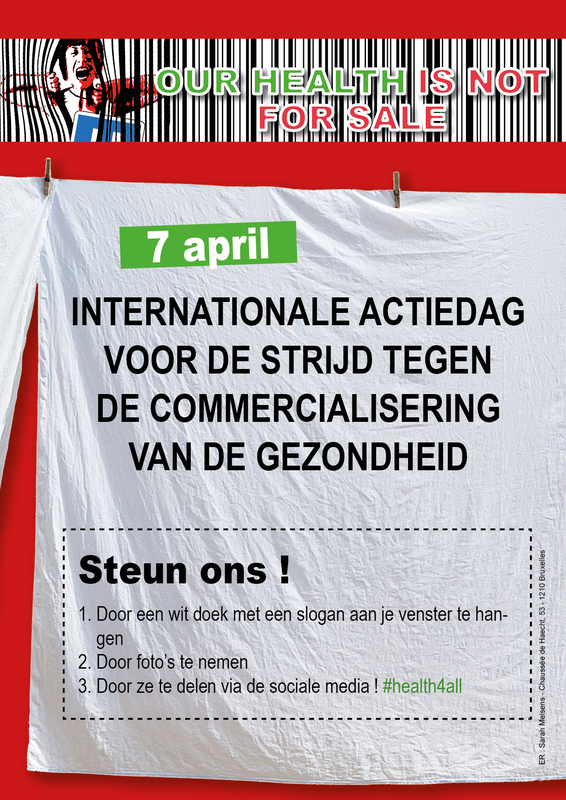 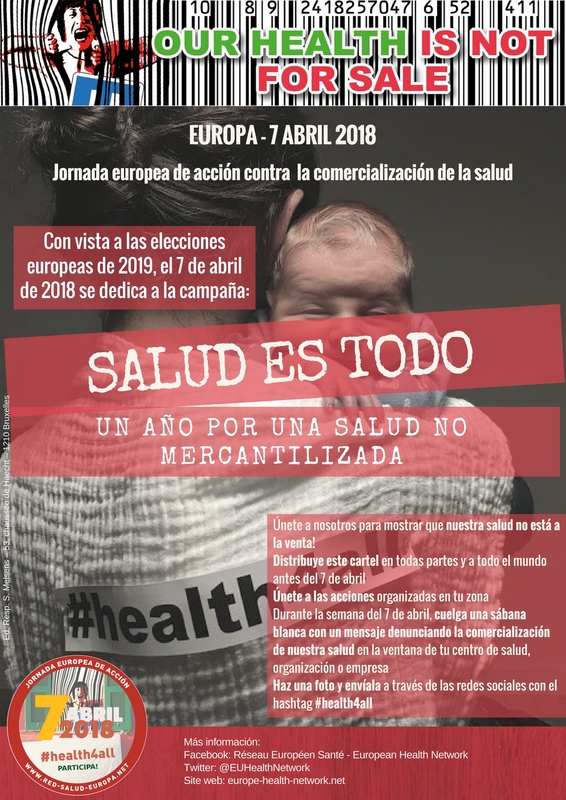 Every year the European Network organizes actions against the commercialization and privatization of healthcare and social protection in different European countries and through out the world for World Health Day on the 7th of April. 7 April will be the occasion to launch the campaign « one year for a non-commercial health for all » for the European elections in May 2019. 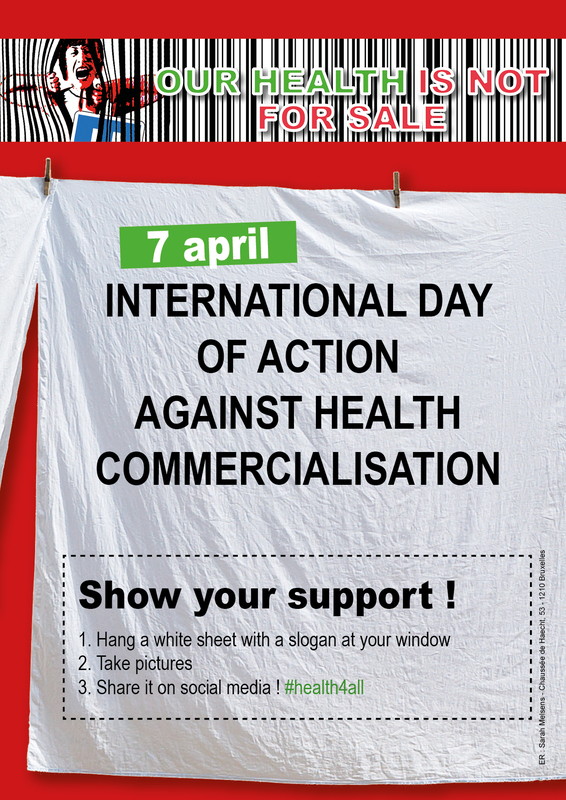 Poster "White sheet" action worldwide! 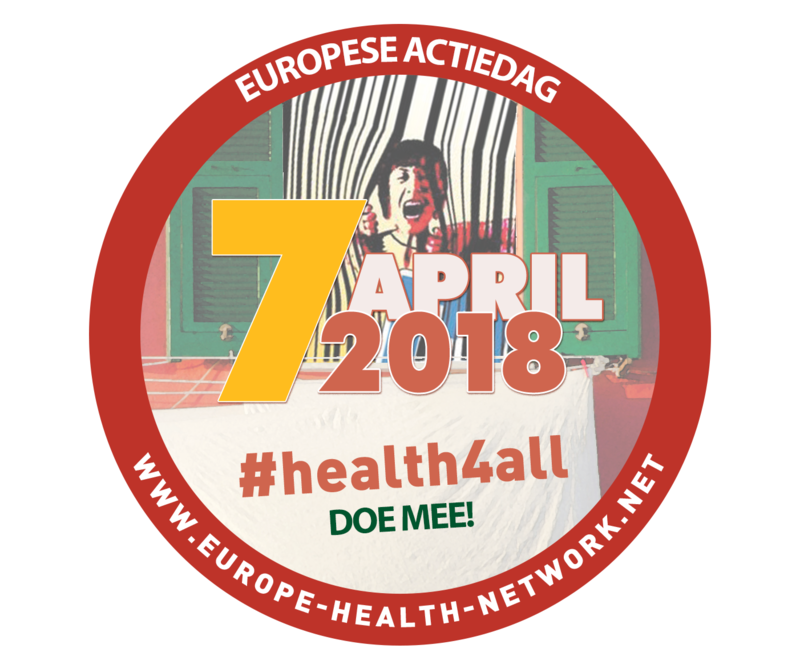 Share the call and your images on Facebook and Twitter with the hastag #health4all!! The secretariat of the European Network also wishes to make a call to all to share your information (announcements, articles, posters, flyers,...) concerning the current events in your country or region as well as your planned actions for 7 April. Your shared information will help to fuel the website and can be used as an idea box for others wishing to participate on the campaign « one year for a solidary health for all ». 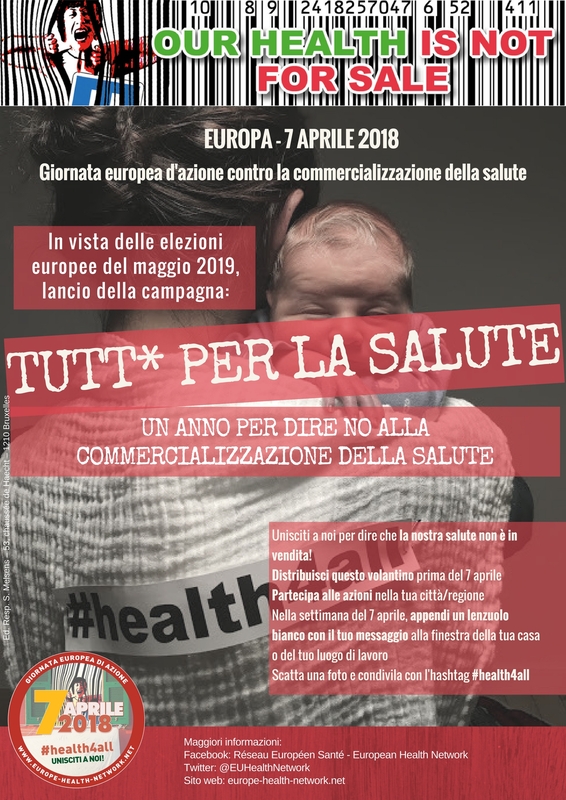 Questions, suggestions or comments? Contact sarah.melsens@gezondheid-solidariteit.be.